This is the one i always want to try. Because i had this dish in the restaurants. This is something different than the usual sarson ka saag. I have guessed the flavor and taste. So based on my guess I have made the recipe and it did come out delicious. Very nice as a side dish and healthy too. 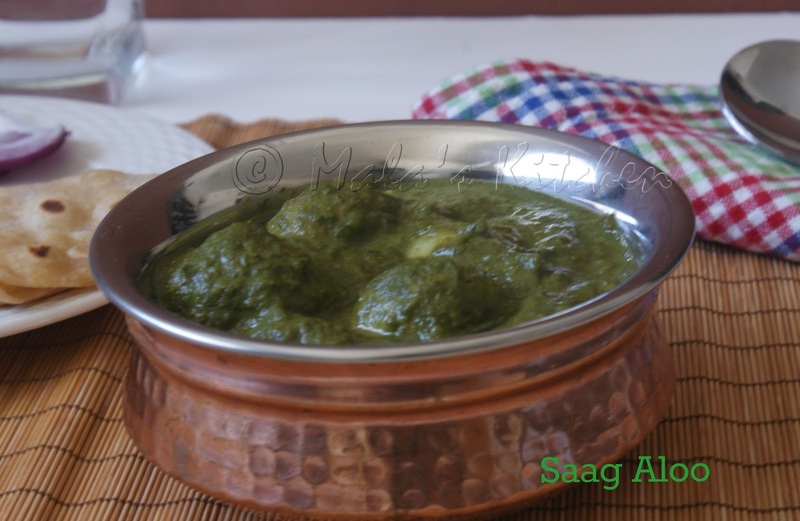 yummmmmmmmmmmmmmmmy finger licking saag aloo and perfect combo for rotis. Colour of the dish itself makes me drool..Incredible dish.